Estate Taxes in North Carolina - Should You Worry? Estate Taxes in North Carolina – Should You Worry? Today I wanted to talk a little about estate taxes in North Carolina. This includes some discussion of what estate taxes are, why you shouldn’t care, and why the repeal of the estate tax is such a bad idea. 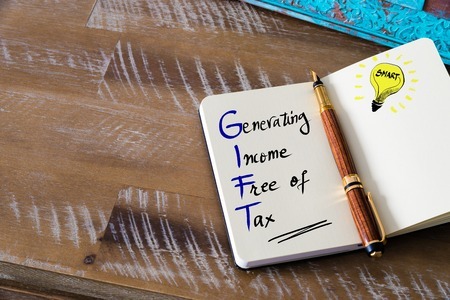 Interested in learning more about gift taxes? Check out this article I wrote yesterday on the topic. What is Included in Your Estate for Estate Tax Purposes? Can You Take Deductions Against The Gross Estate? An estate tax is a tax imposed on the estate of a decedent upon their passing. At the Federal level, there is currently (as of 2017) a $5.49 million exemption. That means that your estate would have to be worth at least that much before you would even need to start thinking about estate taxes. And if you are married, you can double that exemption through proper estate planning. There is also something called an inheritance tax, which is paid by people who inherit property from states where the decedent lived, provided that state has an inheritance tax on the books. Currently, states that have an inheritance tax include Iowa, Kentucky, Nebraska, New Jersey, Maryland and Pennsylvania. Fortunately, if you live in North Carolina, you don’t have a state-level estate tax or inheritance tax to worry about. Believe it or not, it is easy for your estate to grow into the millions of dollars fairly quickly. That’s because your estate, for estate tax purposes, includes everything that you own when you die. The main concern here is life insurance. If you own a $1 million policy, your heirs will inherit that life insurance free from any income taxes. However, the insurance will be included in your gross estate for estate tax purposes. There are several deductions that are allowed against the value of your gross estate. 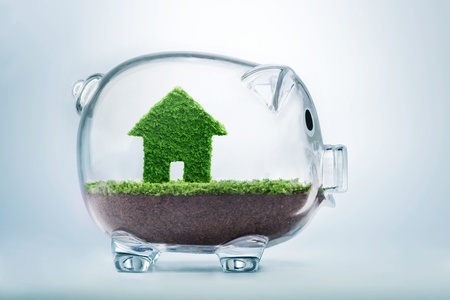 However, with the exception of your home mortgage, many of these items are small and unlikely to provide much benefit if you have an estate that would otherwise be subjected to the Federal Estate Tax. Uncompensated losses from fire, storms, shipwrecks, theft or other related casualties. Honestly? Estate taxes are something that you will likely never have to worry about. Even though estate taxes are the subject of much debate, and many people don’t like the idea of the estate tax, estate taxes affected less than 1/4 of 1% (0.18% if you are keeping score) of all decedents in 2015. Put another way, that means that you have a 99.8% chance of never having to worry about estate taxes. This statistic assumes that the estate tax exemption will stay where it is, or continue to go up. As we all know, laws change over time, and this is certainly true with regards to estate taxes. Consider this. In 1997, the estate tax exemption was $600,000 and the top estate tax rate was 55%. Just about anyone with a life insurance policy in place would have been subjected to the estate tax 20 years ago. Five short years later, in 2002, the exemption had increased to $1 million, and the top tax rate was $50. Over the course of the next several years, the estate tax exemption continued to increase each year, until 2010, when the estate tax was basically eliminated for anyone that died that year. Beginning in 2011, the exemption amount went back to $5 million and the top tax rate stood at 35%. Currently, the exemption amount is $5.49 million, and the top tax rate is 40%. Who knows what the estate tax will look like in 10 or 20 years? I wish I had a crystal ball, but sadly, I don’t. This is why planning is so important. More on that in a minute. Although the estate tax affects only the wealthiest of Americans, it remains a significant source of revenue for the Federal Government. And if you repeal the estate tax, then you have to find a way to either replace that revenue or cut government spending to offset this loss in income. One of the main proposals to offset this loss in income is to tax the “step-up” in basis that people receive when they inherit low-basis assets. 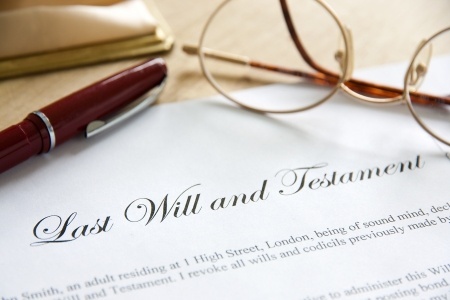 As it stands right now, if you pass on low-basis assets to your heirs, they receive an adjusted basis – the value of the asset as of your date of death. Under one proposal currently being floated, the estate tax would be repealed, but the step-up in basis would be taxed as if the assets were sold just prior to your death, incurring potentially huge capital gains taxes for your heirs. You purchased $1M of Facebook stock way back when it was still trading at $20 per share. Now Facebook is trading around $130 per share. Your initial investment is now worth $6.5M. If you died, and this was the only asset you have, you would receive an estate tax exemption or “coupon” of $5.49 million, leaving a taxable estate of approximately $1,000,000, and an estate tax bill of approximately $346,000. If the estate tax was eliminated and instead your capital gains were taxed, then you would owe long-term capital gains taxes on the roughly $5.5 million of gain on that stock, or $825,000. Let’s presume there would be some sort of exclusion before the capital gains kicked in. Notwithstanding, this is still a sizeable tax bill no matter how you dice it. For that reason, you should most definitely care about whether estate taxes are repealed. Even though the likelihood that you would be subjected to the estate tax right now is very small, there is no guarantee that circumstances won’t change during the next 10-20 years. We work with our clients to develop a plan that will maximize their estate tax exemption amount, regardless of the current state of the law when they pass away. If you are interested in scheduled a no-cost Wealth Planning Session ($350 value) with Cary Estate Planning Attorney James Hart, feel free to call us at (919) 883-4861 or fill out our online contact form. Previous Post: « How Much Can You Gift Someone in One Year?